Includes bearing and tool kit. 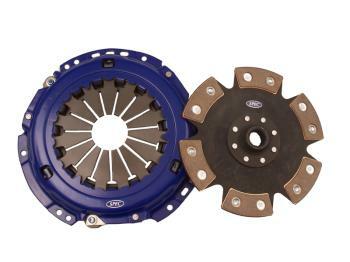 (application dependent) This kit replaces the OE Luk S-A-C clutch design in favor of Spec Grand Am Cup design and requires Spec flywheel to convert from the original dual mass design to a single mass performance alternative. The package includes all hardware needed for install.